In the complicated, confusing, and confounding world of taxes, we taxpayers have a little-known ally deep in the heart of the IRS: the office of the Taxpayer Advocate, Nina Olson. For years, she has pelted Congress and the IRS with her observations on problems in the system and suggestions for improvements. She also welcomes your thoughts via a suggestion box for tax reform ideas. So far, she's received roughly 1,500 submissions from folks like us, and she's still asking for more. The Child Tax Credit: One taxpayer said, "I have a child, but other people do not. Why should I get a tax break for a decision I made?" Others object to dependent exemptions, noting that the days of encouraging large families for farm work are gone. Mortgage Interest Deductions: One person suggested, "If people can afford to buy a $1 million dollar home, then they do not need a tax break for taking out a large mortgage." Those who choose to rent, or who can't afford to buy property, will likely agree that this isn't a "fair" break. Of course, fairness is not always as simple as it seems. Some have argued that people without children shouldn't have to pay taxes to support public schools. But an educated society can benefit all citizens, parents and non-parents alike. With taxes, fairness matters most in regard to the overall tax hit each of us takes. Many other citizens cited tax breaks and regulations that they wanted to keep, including the currently low tax rate for dividends and capital gains. Considering that companies make those payouts after they've paid their own tax bills, the dividend tax actually represents a second tax on that money. Having a low capital gains tax rate encourages people to invest, which is good for the economy. But low taxes on dividends and capital gains can also permit the very wealthy to pay a far lower overall tax rate than ordinary citizens. Warren Buffett has often remarked that his assistant faces a much higher tax rate than he does. Some taxpayers consider certain breaks too small, such as the $3,000 per child that you may be able to deduct for day care expenses. One commenter suggested that the IRS increase that maximum, since those costs can be much larger in areas with higher costs of living. In addition to the well-liked policies that taxpayers would reluctantly give up for the greater good, there are quite a few they'd be far happier to dispose of. The taxation of unemployment benefits gets little love from commenters; as one said, "Talk about kicking somebody when they are down!" Taxing Social Security benefits is another no-no to some, since the money in the Social Security system gets there via another tax in the first place. One person suggested that tax returns add the option of making a "donation" to reduce the deficit. It may seem a little wacky, but if 50 million households chip in $50 each, they could raise $2.5 billion. Another out-of-the-box idea would let taxpayers decide where some of their tax dollars go, with interests ranging from war to green energy vying for dollars. 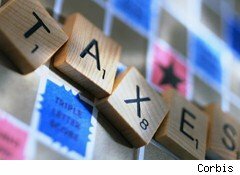 "Get rid of all deductions, all special tax rates, all credits... The process should be so simple no one needs a tax preparer. I am a tax preparer and benefit from the current system, but it is still BAD BAD BAD for the country. It is a massive burden on the economy! I dare you to take away my livelihood! PLEASE!" Tax preparation is costly. People and companies spend more than 6 billion hours on tax preparation, the equivalent of more than 3 million full-time workers. In Olson's 2010 report to Congress, she estimated that "the costs of complying with the individual and corporate income tax requirements for 2008 amounted to $163 billion -- or a staggering 11% of aggregate income tax receipts." Most observers agree that the tax code is too complex, but opinions vary on just how simple it should get. Some suggest scrapping income taxes in favor of nationwide sales taxes, but others point out that that can hurt lower-income people more. Others suggest a flat tax for everyone (usually above a certain low income threshold) -- such as 10% -- or a simple graduated tax, with higher rates for those earning more, and few deductions, credits, or loopholes. That's just a smattering of suggestions. Click over to the Advocate's website and drop your own thoughts and suggestions into the box. And for more tax tips and strategies, check out the WalletPop Tax Center. Selena Maranjian is a longtime Motley Fool writer.